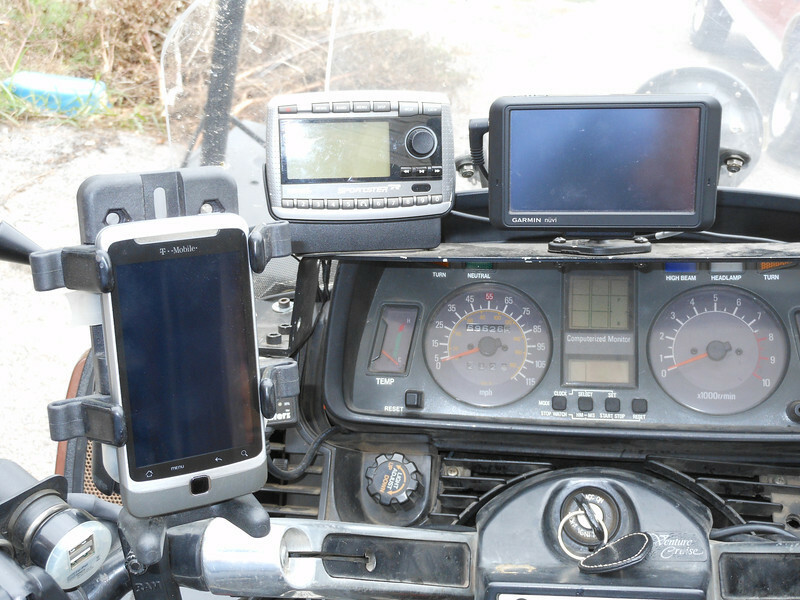 Phone mount, Satellite Radio and primary GPS. I made the shelf. Power outlets on top of clutch reservoir.